Millwall have completed the permanent signing of on-loan Wolves defender Darren Ward on a deal until the end of the season. The 31-year-old centre-half has made 10 appearances for the Lions since moving to the New Den in September. 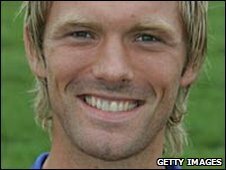 Ward previously played for Millwall between 2001 and 2005, making 161 appearances, including an FA Cup final, before joining Crystal Palace. He joined Wolves in the summer of 2007 and made 34 appearances for the club.